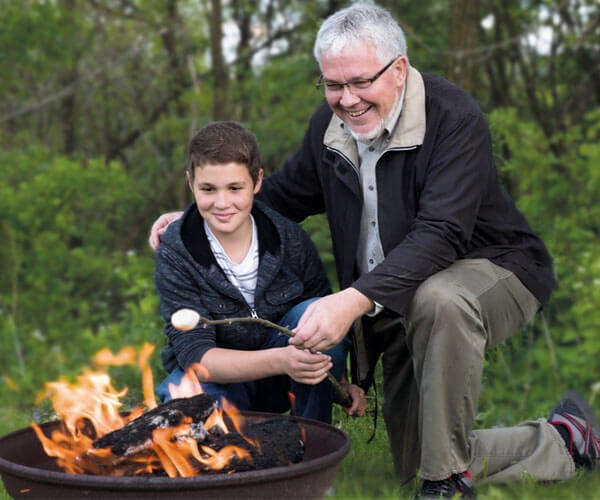 No doubt, we all love a great time around the fire! 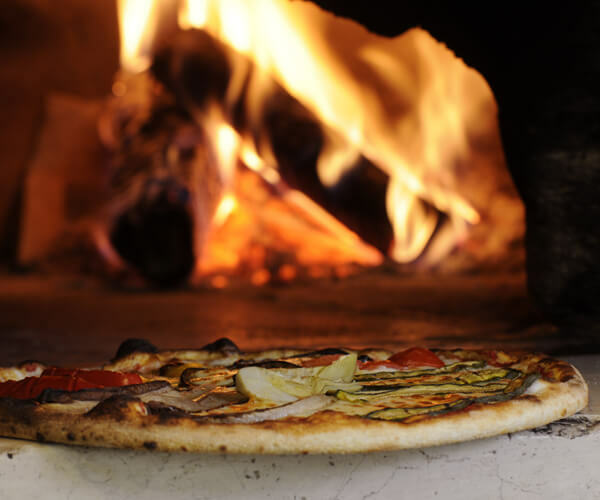 Whether it is the smell and warmth of burning firewood around a campfire, the warm glow of a winter wood stove or the taste of a freshly prepared pizza from a pizza oven, there is nothing like it! 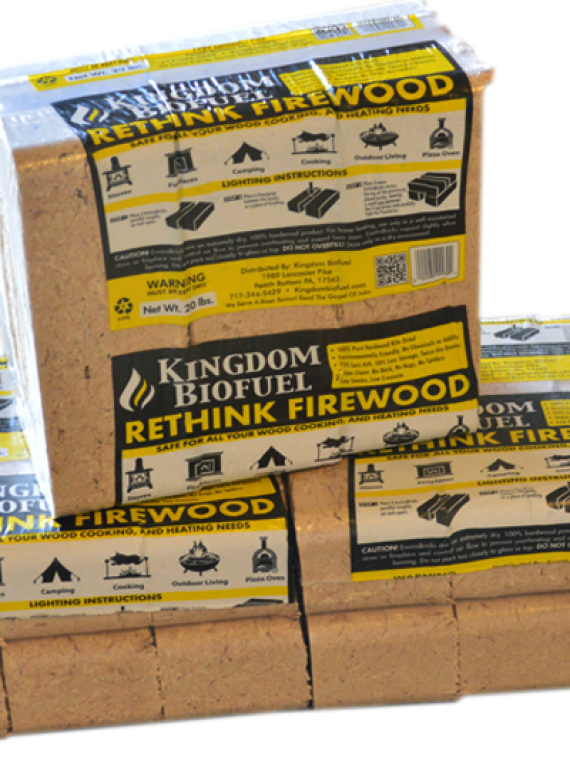 Now you can have all of that with Kingdom Fire Bricks, an alternative firewood for heating, camping, or a pizza oven. These fuel bricks are made from recycled sawdust and kiln-dried shavings to make your Carbon footprint smaller while enjoying the warmth, smell, and taste of a wood fire. Fire Brick Burns Hotter and Longer than Regular Firewood. They are twice as dense and made from 100% kiln dried hardwood lumber sawdust which is compressed with 24,000 lbs of pressure. Environmentally Friendly Just like our Bulk Wood Pellets and our Bagged Wood Pellets , Firewood Bricks are considered CO2 Neutral. They produce no more carbon than if the sawdust would rot in the open. Go camping without having to worry about where to find firewood! Kingdom Fire Brick are not quarantined and thus can be carried across state lines. Whether you need fuel blocks for a backyard firepit or wood bricks for camping Fire Bricks will make life easier! Carrying firewood into the house leaves a trail of dirt and insects and storing the firewood inside takes up to much space. With our wood brick fuel, you can stack the compressed wood bricks in very tight spaces and avoid nearly all the dirt associated with burning cordwood. 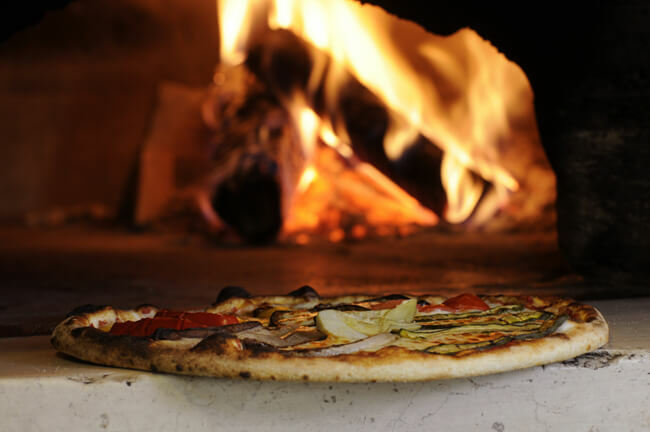 How would it be to have Firewood for a Pizza Oven without all the dirt and hassle of working with firewood? In addition, you could store more Fire Brick in a small space and save space inside your restaurant. 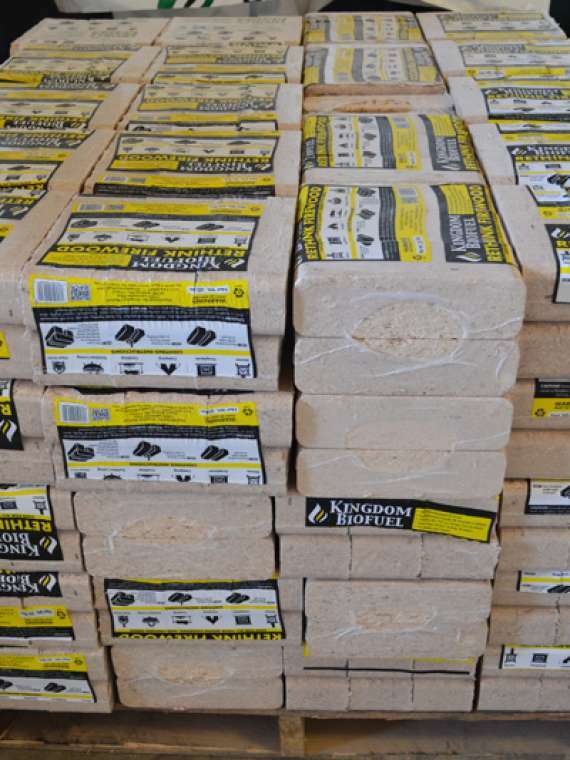 We ship Kingdom Fire Brick in PA, NJ, NY, MD and DE. Where can I burn Fire Brick? You can burn Fire Brick in almost any wood stove. They are essentially a replacement for firewood with much less hassle. What is the BTU of Fire Brick? One 42″x48″x48″ skid of Fire Brick compares with the BTU of one 48″x48″x96″ cord of well-seasoned firewood. What are the Fire Bricks Made From? 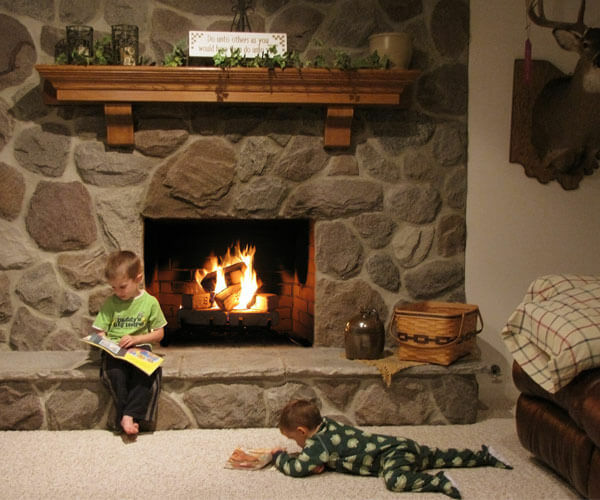 Fire Brick heating fuel is made of recycled hardwood sawdust and shavings. So when you burn Fire Brick, you are taking a waste product that could be dumped into a landfill or burned as waste and using it to heat your home. How Much Ash does Fire Brick Make? When you burn Enviro Wood Bricks, you should have about 1/4 as much ash waste as with cordwood. In addition, your chimeny will have much less build up than if you are burning regular firewood. A one ton skid of wood brick fuel take up a 42″x48″x34″ area. You can stack them higher to keep them in a tigher space. In general, our wood bricks take up about 1/2 the amount of space as regular firewood. What is Your Question regarding Wood Bricks for Camping? We love the enviro bricks. They are the right size for our tile stove, burn clean and last quite a while. We like to add them to a wood log fire for extended heating when we leave the house or overnight. We are so happy that you carry the enviro bricks at your store. Bill and Hilde Cox. They ignite easily but burn time is only approximately 3 hours. Have been mixing them with firewood so do not have enough information on how affordable they will be. They do produce a equal amount of heat as firewood. I purchased the new enviro bricks to see how they heated compared to cord wood, well it’s been awhile now, enough to tell how they do so I looked in the chimney and hardly any soot at all and they definitely burn hotter and longer than cordwood. Very clean, easy to light. No bark, bugs or mess. Only need a dry storage area like the basement. Highly recommend. Merv is a great guy to do business with. Decided to start with a ton of enviro brick this year instead of cord wood and i wish I would have bought enough for the season, I like everything about them. They burn hot and long and clean. There is no wood mess scattered around my wood stove. Kingdom Enviro bricks or an amazing product. Super clean. Long burn time. Far beats firewood. Plus they offer delivery period with an all terrain pallet jack right back to your shed.